If you ask the prisoners of Auschwitz or at least those who have ever visited the memorial and museum about what they felt – they will tell you that the place where hundreds of thousands died is under the effects of cursed seal. One gets the impression that the death silence of the cemetery is still broken by cries and moans of inmates pushed into gas chambers…piles of shoes of all sizes, tooth brushes, glasses… all these objects still appear to preserve the warmth of hands of the people they belonged to. Grzegorz Schetyna, the Poland’s Minister of Foreign Affairs, suggested that Ukrainian troops should be celebrated for liberating the Hitler’s camp of death camp, and not the Soviet Red Army. («Since the Ukrainian soldiers were there on that January day, it was they who opened the camp’s gates», Schetyna said). It’s not the first and, probably, not the last attempt to distort the events related to Auschwitz liberation and the whole history of WWII. In April 2007 Poland closed the Russian exposition in Auschwitz which was located on the grounds of the former camp since 1961. The administration of the museum in the former Auschwitz concentration camp said it could be reopened only if Russia acknowledged occupation of Poland by the USSR. The Polish side insisted that Western Ukraine and Belarus were Polish territories till 1939 and the inmates from these territories were Polish not Soviet. Poland also wants the territories «annexed» by the USSR in accordance with the Soviet-German treaty of 1939 to be marked on the map at the exposition’s entrance. Now they have started «to make precise» the information on blood composition and nationalities of the camp’s liberators. Schetyna has been rebuffed by the users of social networks (the user under the nickname 20portalreplied to a critical article in Polish Gazeta Wyborcza newspaper writing «My stepfather survived Auschwitz. If he were alive he would strike Schetyna in the face»). But the Polish Minister stood his ground. In two days after he scandalous statement he went back to the subject («I told the truth») and said that the first tank to crash the gate of Auschwitz-Birkenau was commanded by Ukrainian Igor Pobirchenko. The Minister did not care about the fact that Russians, Ukrainians and the people of many other nationalities fought in the ranks of the First Ukrainian Front. He just tried to explain publicly why Russian President Vladimir Putin was not invited to take part in the ceremony marking the 70th anniversary of the liberation of Auschwitz. Perhaps Pan Schetyna has no access to the information that in reality the camp’s gate was broken down by Major Anatoliy Shapiro, a Jew - the battalion he commanded was the first unit to enter Auschwitz. OK, even if it were not Shapiro, but Pobirchenko (an honored veteran who became a famous lawyer and an academician in the Soviet Union) – what does it change in the history of camp’s liberation by Red Army? Grzegorz Schetyna needs to be given a little lesson of history. The names of Soviet fronts changed to reflect the directions of advance. The front in question was called the First Ukrainian Front on October 16, 1943 to take part in the Kiev strategic offensive operation. Before that the First Ukrainian Front had the official name of the Voronezh Front prior to November 1943 and before that it was the Bryansk Front. The Red Army units had the servicemen of numerous nationalities within their ranks (with the exception of a few dozen of divisions manned by servicemen of certain nationalities (the 201st Latvian, the 16th Lithuanian etc.) as reinforcements were coming from all parts of the Soviet Union. The First Ukrainian Front was manned according to the same principle. According to the study prepared by a group of Soviet General Staff researchers headed by Colonel General G. Krivosheev, the Front included the servicemen of different nations to include: Russians - over 66%, Ukrainians – around 16%, Belarussians – around 3%, Tatars – around 2, 2%, Jews – over 1, 6%, Kazakhs –around 1,5%, Uzbeks – 1, 4%, others (a few dozen nationalities) – at least 1%. 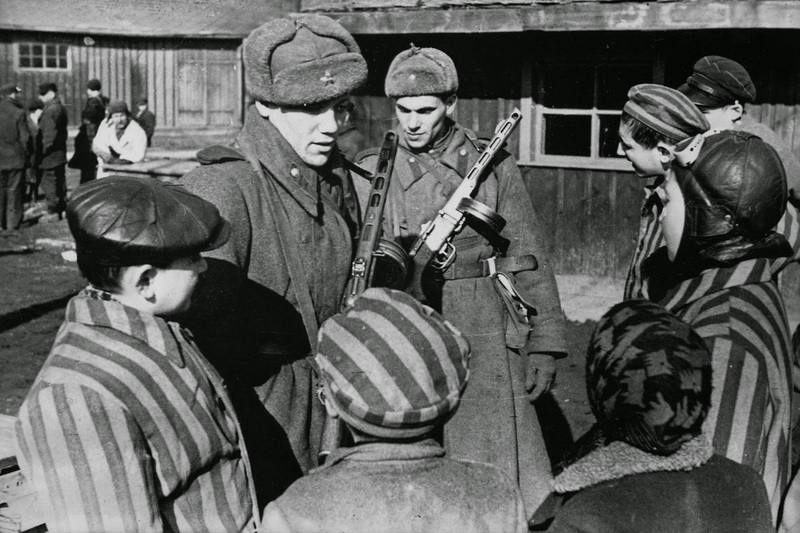 Auschwitz was liberated on January 27, 1945 during the Red Army's Vistula–Oder Offensive by the 59th and 60th armies of the First Ukrainian Front operating in coordination with the 38th Army of the 4th Ukrainian Front. Auschwitz concentration camp was a network of German Nazi concentration camps and extermination camps built and operated by fascist Germany. 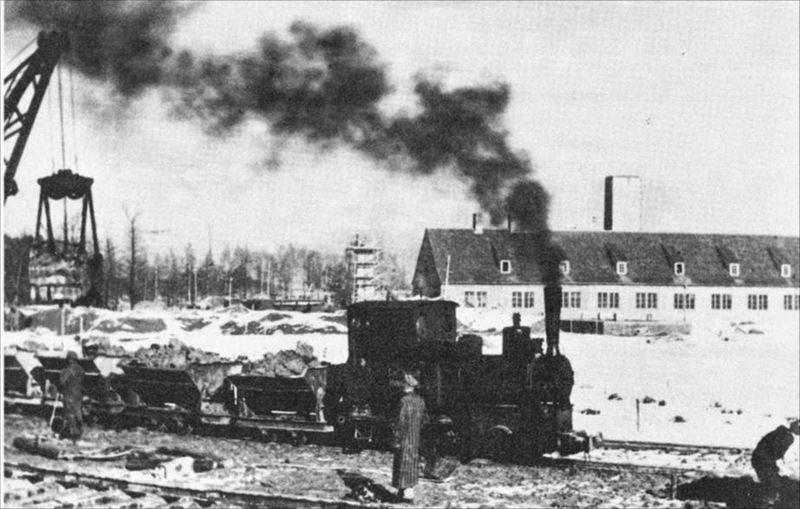 The 100th and 322dinfantry divisions of the 60th Army liberated Auschwitz III-Monovitz. About 3 o’clock at night on January 27 the 454thregiment of Lviv 100th infantry division (under the command of Major General F. Krasavin) burst into Auschwitz (the original camp). The very same day one more concentration camp - Jaworzno was liberated by the 286th infantry division (under the command of Major General M. Grishin) of the 59th Army. The next day the 107th infantry division (under the command of Colonel V. Petrenko) liberated Auschwitz - Birkenau. It’s all crystal clear. The affirmations that the Polish Minister of Foreign Affairs lacked information sound unconvincing. Making fun of the Minister’s ignorance Polish journalist Mariusz Novik made a crib sheet for the Pan Schetyna containing some historic information to allow making bold statements. It introduces him to the facts that the servicemen of many nationalities served in the ranks of First Ukrainian Front, Christopher Columbus did not hail from Colombia and Indians (meaning American Indians) are not residents of India. Mariusz Novik does not believe in the gross ignorance of the Minister. It’s something else, something much more dangerous. The attempts to destroy the memory of the liberation mission fulfilled by the Soviet Union and its Army during WWII have become so frequent that it starts to look like historic vandalism. Kiev does the same thing. «Ukrainians made up the majority of those who freed Auschwitz - the Ukrainian Front», Valeriy Chaliy, deputy head of Ukrainian President Petro Poroshenko’s administration, told a January 23 press briefing. The botched statement made by Ukrainian Prime Minister Arseniy Yatsenyuk about the Soviet Union’s invasion of Germany and Ukraine is well known. At that German Ministry of Foreign Affairs cites diplomatic protocol refusing to comment the ridiculous statements made by a top official of another state no matter he completely distorted the most important facts related to the German history in the 20th century. Here is one more example: Latvia has declared its SS-legionaries to be «freedom-fighters» since a long time ago. 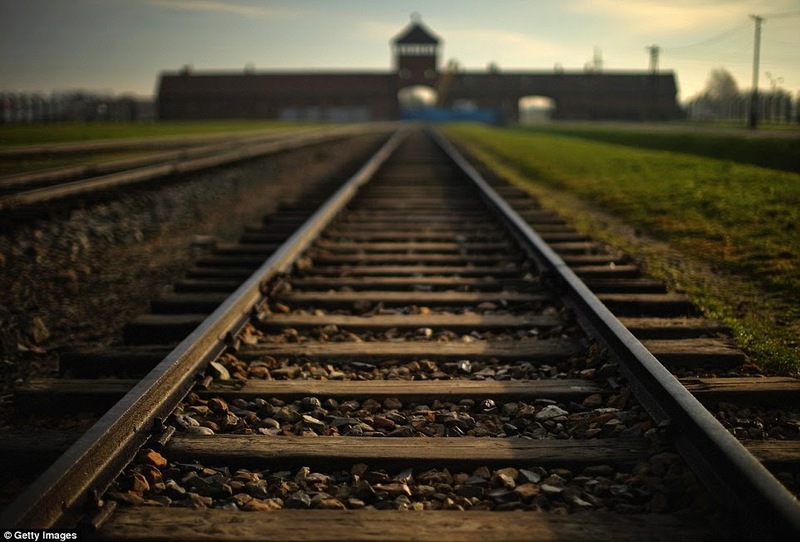 It has cancelled a Holocaust exhibition in Paris devoted to the international day of holocaust victims. The display was organized by historians from Latvia, Russia and Belarus and was scheduled to open on January 25 under the title ‘Hijacked childhood. Victims of Holocaust as seen by the child prisoners of Nazi concentration camp Salaspils (Salaspils is southeast of the Latvian capital, Riga). There are many more examples to prove that there is an information-psychological war unleashed against Russia and Russians. The objective is «to revise» the results of WWII and show in different light the contribution of the Soviet Union into the victory over Germany and the liberation of Europe. We’d better listen to the victims of German concentration camps who are still alive and who greeted the Soviet liberators than pay attention on what Neo-Nazi sponsors from Washington, Berlin and Kiev have to say on the occasion. Noah Flug, the late Chairman of the Center for Holocaust Survivor Organizations in Israel, has said that Jews remember that 65 years ago Majdanek and Auschwitz were liberated by Soviet soldiers and the Red Army. In ghettos and concentration camps, the Red Army was the people's last hope, it saved them, defeated Hitler, and saved Europe.